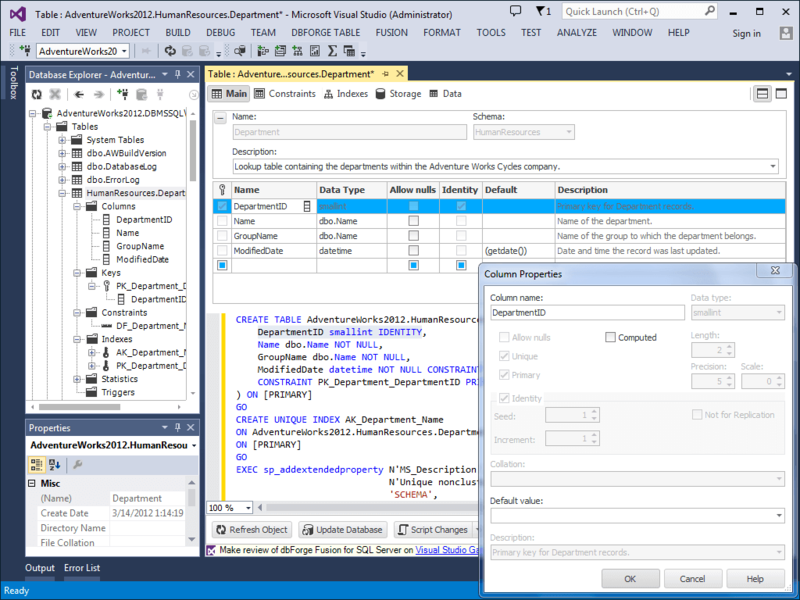 dbForge Fusion for SQL Server fully integrates into Microsoft Visual Studio. 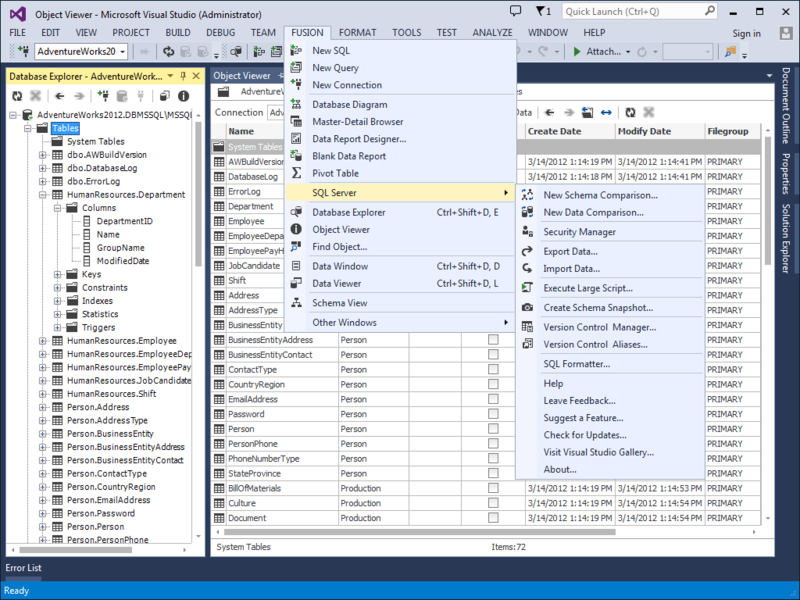 You can accomplish all tasks related to SQL management and administration in Microsoft Visual Studio using Devart add-in. 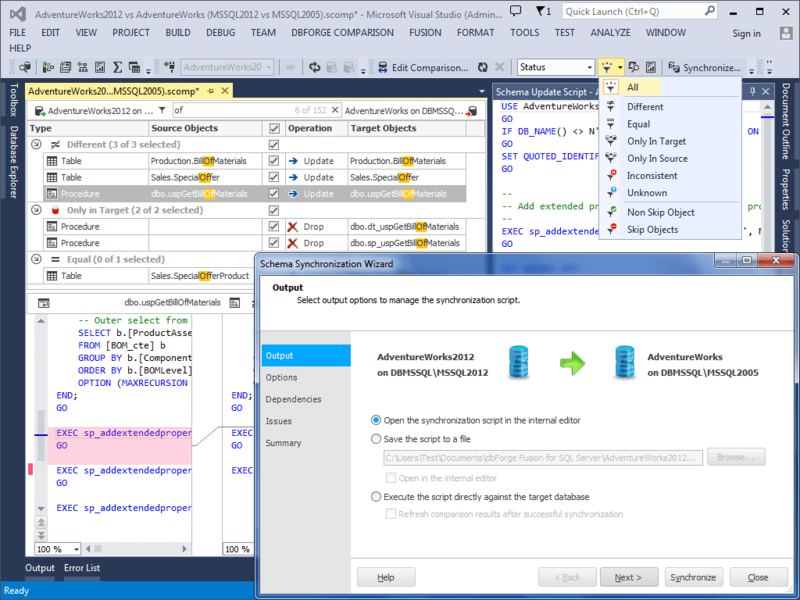 Preview changes before modification of a database object. 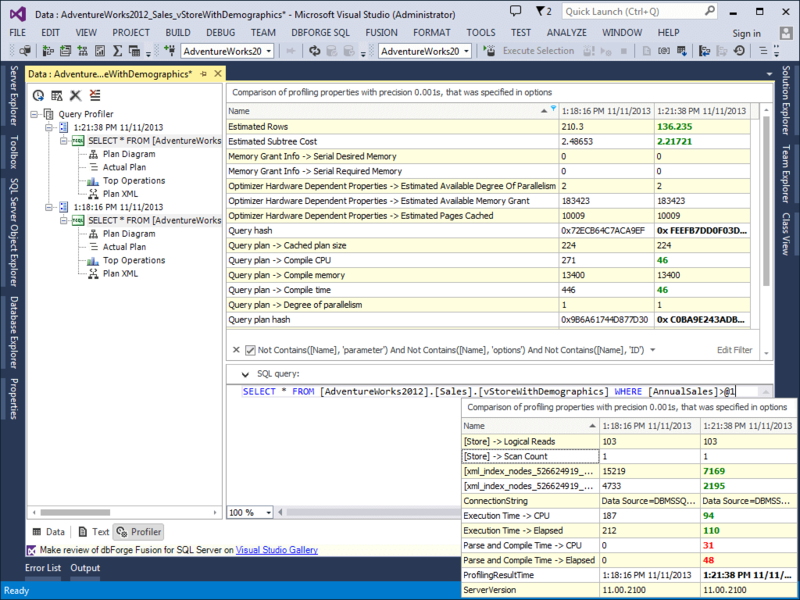 An incomparable SQL server development tool for when you need to get familiar with database structure quickly. 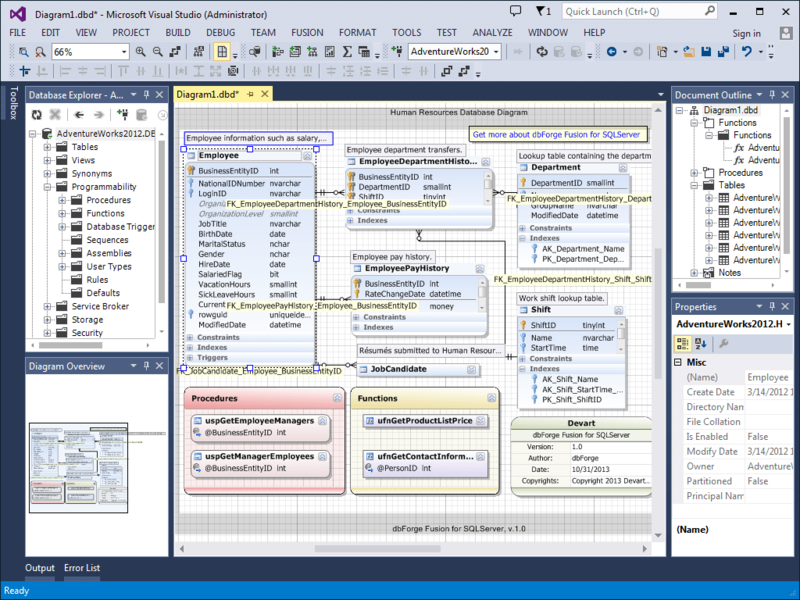 Drag & drop the database on the diagram and get its basic objects and their connections neatly displayed. 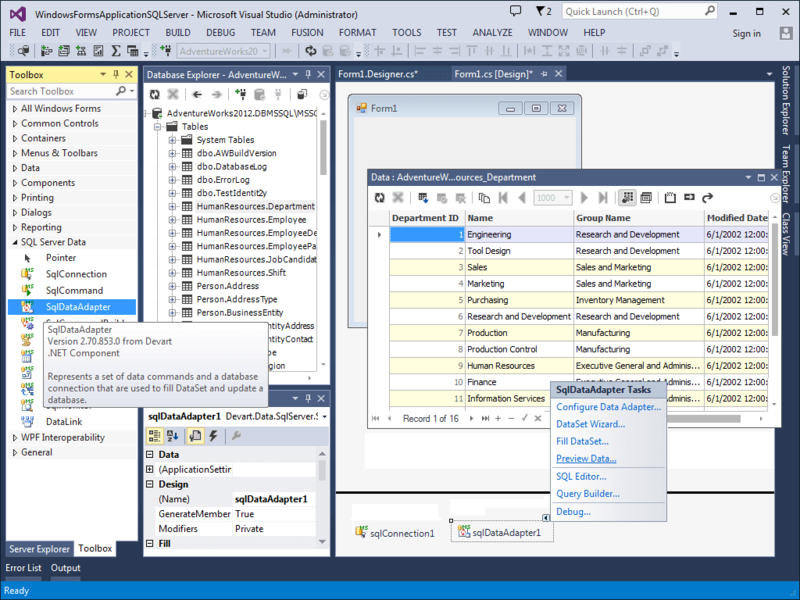 Crucial tools for filling a database with external source data and migrating data between systems. Our tools support 10+ widely used data formats, a number of advanced options, templates for recurring scenarios. 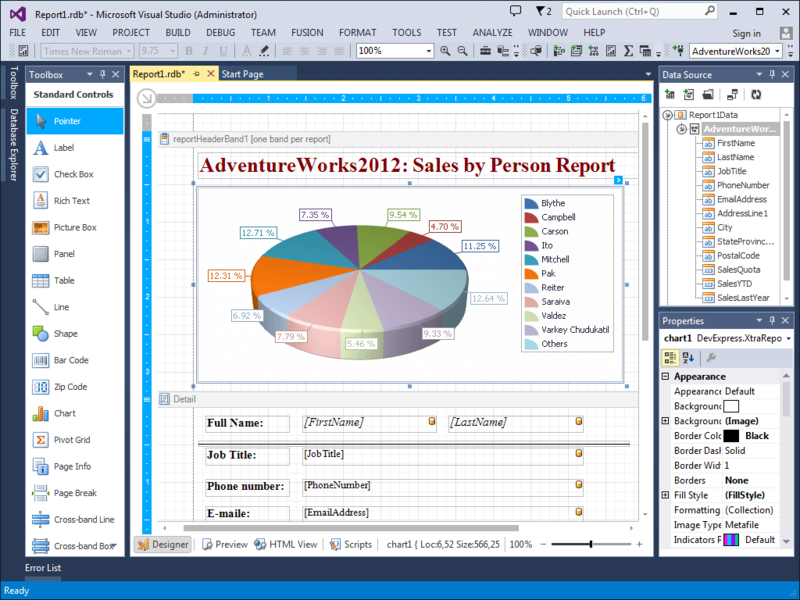 Visual Data Report designer with support of chart plotting converts your data into a good-looking report. This tool also allows you to generate a report in 9 different formats. 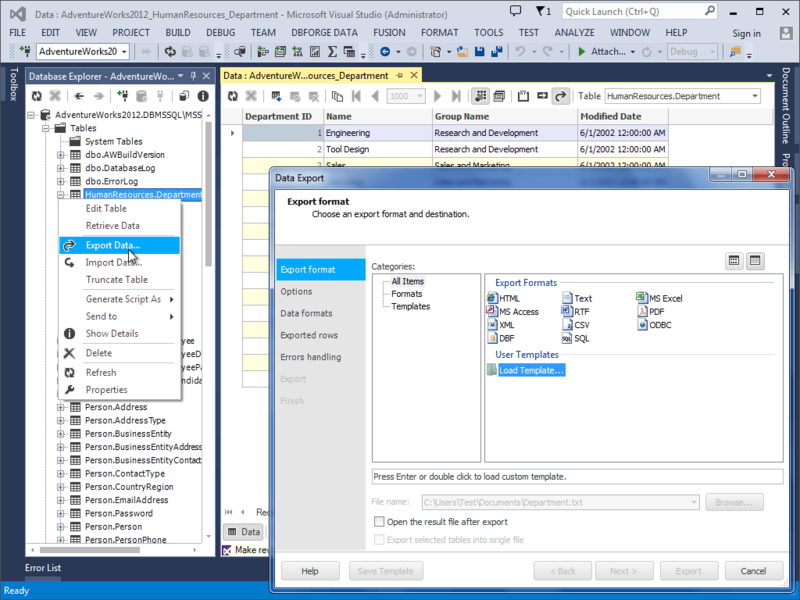 SQL code completion, advanced formatting and all other features of SQL Server administration and management tool are available for users of Devart dotConnect for SQL Server. 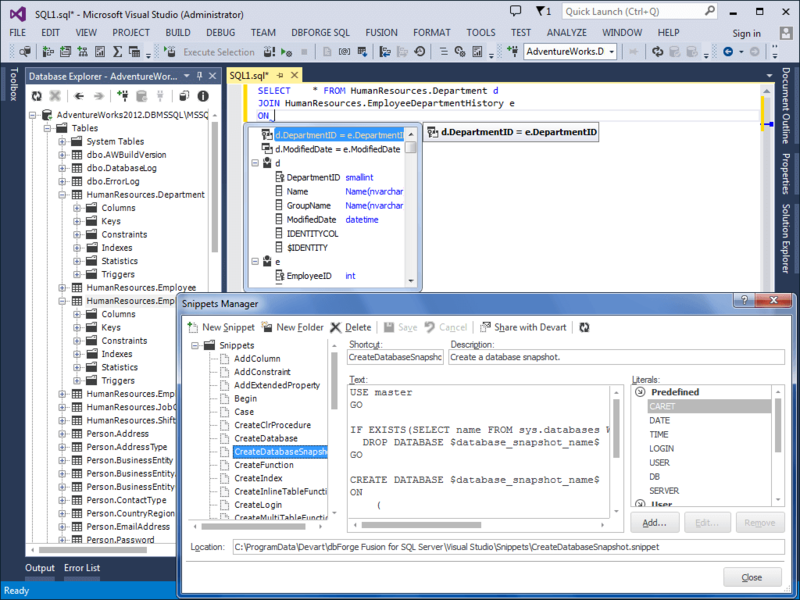 Features for database management and administration will be embedded in your components as soon as the add-in is installed. 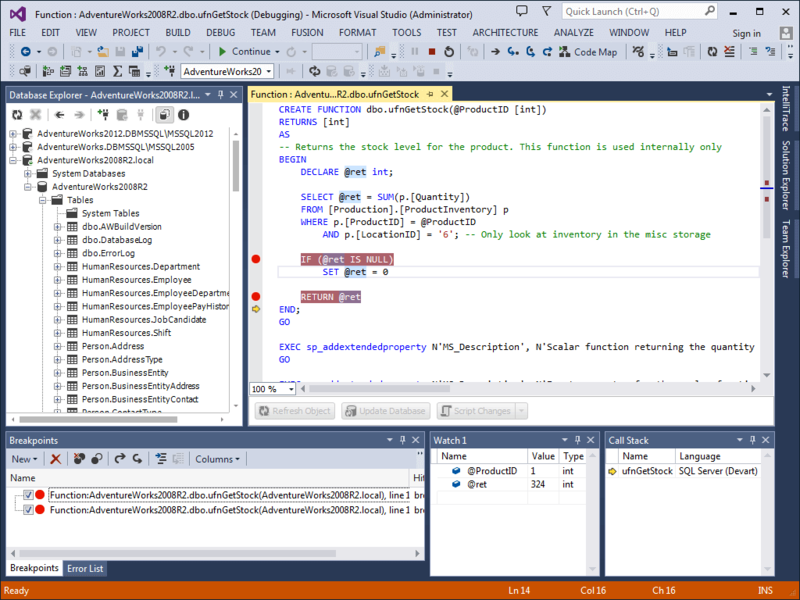 You can get a significant discount, and even a free license, by spreading a word about dbForge Fusion.